Memorial Day comes with many family duties. In our family, although I am now the only one who lives in the state where the bulk of our family members are buried, the duty falls on my brother and his wife, who come up from Florida for the summer and stay with her family. (They live closer to the cemeteries.) John and Jan visit each grave, prune rhododendron bushes planted by my grandmother 70 years ago, clear off gravestones, and plant flowers. They then e-mail digital photos to the family. A lot different from the days of our grandmother, who had an enormous bed of iris plants (really enormous), and who with my grandfather visited every cemetery as far and wide as they could – the majority of the family being buried within 70 miles of Boston. The first trip each year would be a few days before Memorial Day to do cleanup around the lots and leave masses of freshly cut iris in tin vases by each grave. A week or so after, the second trip would pick up the vases and dispose of the wilted flowers. In the 1950s they took photographs of every family stone. One of my goals is to digitize these photographs and compare them to anything that has been posted online. Sixty or seventy years can make a great difference in the condition of gravestones, so I was prepared for damage. I was not prepared for missing stones. 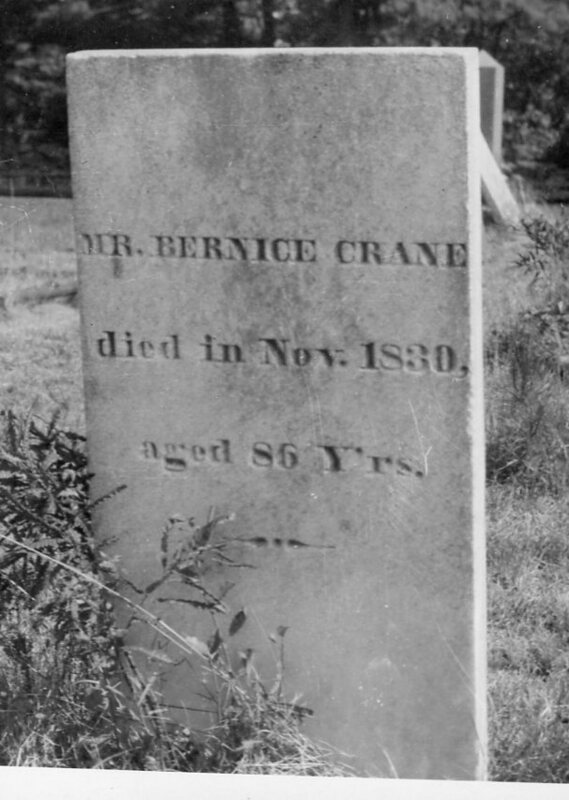 For example, my DAR ancestor Bernice Crane and his wife Joanna were buried in Fox Cemetery in Berkley, Massachusetts. Copies of my grandparents’ photographs are reproduced here. Findagrave has Bernice’s stone, which appears to still be in good condition; in fact, the modern photo shows the grounds-keeping has definitely improved. However, Joanna’s stone is not included. Billion Graves has neither. 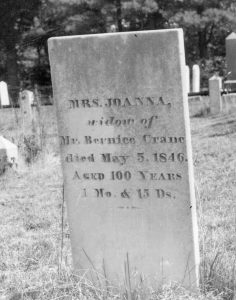 On RootsWeb, I located photographs from the Fox Cemetery taken in 2008 and again found Bernice – but not Joanna. I am pretty sure this is just a matter of Findagrave not having complete coverage of the cemetery, as there are other family stones they do not have, so this summer I have an excuse to go out to Berkley and see exactly what is there. I have not been to the cemetery where my parents are buried for almost two years, not since we buried my brother, David, but I will be there in June when we bury his son, Steven. When I wrote about them in my Vita Brevis post, Three Argonauts, we thought that Stevie’s ashes would be scattered at sea off Oregon, where he died. However, after much thought, the family has decided to bring him “home.” Stevie’s ashes are scheduled to arrive at my house early this week, and he will be my guest for several weeks until the burial ceremony. I would not be surprised if we had some good conversation while he is here. 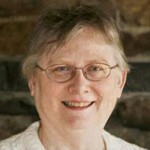 Having ghosts in the house doesn’t bother me – after all, I am a genealogist, so I live with ghosts all the time! Before my husband died in 2002 we talked about where we wanted to be buried, he wasn’t too sure he wanted to be in my family plot. I have his ashes here at home & when I die [‘m only 82 so don’t expect to go anytime soon] My ashes & his will be placed there & he won’t mind since I’ll be there with him. Before my husband died in 2015 we also talked about where he wanted his ashes placed. He said “Surprise me”. His surprise will be Our ashes will be placed in the cemetery with 4 older generations of his family. I want to make it easy for our descendants to find us. He would just smile. Barbara, that’s what counts, being together. I have a frustration about the gravestone of my Great Great Grandfather who fought in the Civil War and who is buried in the Central Branch National Military Home Cemetery, Dayton, Ohio. His middle initial was engraved wrong. His name is Dwight Joseph Tillinghast. The stone has Dwight L. Tillinghast. I have been told I cannot request a correction unless the stone has been damaged. It is a minor error, but should be corrected, and could cause some questions by a future generation in his/her research. They have, however, made the correction in the records in the National Archives. And the error does not keep us from remembering him on Memorial Day. What they say about “written in stone” is true! I agree with those who believe a gravestone is an artifact in its own right and should not be changed. Unfortunately, of course, one cannot just paper clip a correction to it! You might consider having a foot stone put in with “Dwight Joseph” on it? ah, “written in stone”. My great great grandfather was born with the name Meloney. Family history says his wife, a 5th generation Boston “lace curtain” Irish did not want to be mistaken for the immigrant Catholic poor of the 1850s, so she started spelling it Meleney. Throughout the next two and a half decades of their marriage and 9 children, we find the name spelled both ways in records. When he died suddenly in 1876 his death certificate says Meloney, but his tombstone erected by his wife and sons, says Meleney–the name they kept and all their descendants use to this day. Spelling and pronunciation are curious. Our names have special “clan” meanings even when we don’t realize it. The Smiths and the Smyths may consider themselves distinct even if they share common ancestors. It is interesting how our families construct their identities. Judy, a few years after my Mom’s mother died, Mom casually remarked to me that she was looking forward (not in a depressing or immediate way) to seeing her mother again in heaven. Since I was in my 20’s this seemed like a dark thought and surprised me because my mother had never seemed very religious. Of course, now I know what she meant. The question is probably more — do you have to see the relatives you didn’t like, too! I too wonder whether we have to see those we did not like. Or what age are the people we reconnect with, are we all the age when we died or are we the age we most enjoyed. What about people we did not know personally, but knew of either through family stories or our research??? Janet, too bad we have to wait to find out! What your doing is fantastic. I wish you would spend more time with the gravestone. I know it can be hard visiting the sites and the extra work. You may think about posting the headstone on line. Wish you luck! Jim, I wish I could spend more time, but be assured that I will post the photos. Our family has similar traditions. A family plot in Medfield is situated near the spot where annual services are held so we feel an obligation to have the lot all spruced up by Memorial Day. Since I moved to Colorado, the task has been taken over by a cousin who does a terrific job every year. Other cousins take a yearly summer drive with their children from Pennsylvania to visit and place flowers on the family cemeteries as far north as Haverhill. The children call it the “Dead Tour” and it has become a favorite summer trip. Sandy, “Dead Tour” wonderful — I’ll add it to my family’s “Dam Fine Tour”. I have family in Medfield, too, though I haven’t checked on their stones yet. Thanks, Alicia. As always I enjoy reading what you write. I too have several “versions” of photographs spanning 30 years or more. Some of the stones have “disappeared” but when I poked around with a long knitting needle I found several had fallen over and grass grew around them. As time and money allows I restore stones either placing them upright again if they are intact or easily repairable, raising one in a concrete bed if broken but readable, or making a family stone with all the info from various stones. Where appropriate I have submitted the older photos to Findagrave to help others, and hope they contaact me if we are related. Janet, we have several “family” obelisks that I think were probably set up by family in the late 1800s or early 1900s because of missing individual stones. Good work on taking care of your cemeteries. I live across the continent from my recent ancestors (and most of my living relatives) and became very excited when I learned that one pair of my 4th great grandparents, surnamed Griffin/Griffen, leading to my great-grandmother, were buried in a graveyard only an hour and a half away, with several generations of descendants and related lines. I had the pics from FindAGrave and looked forward to being able to visit, and to research local records. Then only a week later, as I searched online for other possible members of the family who might also be buried in Vermont, I had one of those serendipitous moments. The name Benoni Griffen popped out at me. In a different fork of my family line, a Benoni Griffin/Griffin was the father of my 4th great-grandmother, buried with other members of his family and affiliated families in a small cemetery just a few miles from my home. Surely… Some searching of local records here and in Connecticut verified that this Benoni was also part my family. His father, Benoni Jr, was the brother of my 4th great-grandmother, born Hannah Griffin in Simsbury, CT, and married Martin Stratton, also born in Simsbury. So Benoni III is my 1st cousin 4 generations removed (I hope I’ve got that right). Samuel Griffin, prob. b 1739 and himself part of a long line of Samuel Griffins, had migrated from Connecticut, too, but from a town near the mouth of the Connecticut River. I have not yet connected the two families, but they may be related further back. Both lines alternated the spelling of their names between Griffin and Griffen (sometimes within the same document!). And I feel at home in Vermont, with relatives to visit just a few miles away, in one of the loveliest, best kept little cemeteries I’ve seen. So tiny there is only one parking spot for the many visitors it obviously has. Maybe this weekend I’ll meet some cousins. Annie, So sorry to hear about the destruction of the stones from “friendly fire.” I have a ggggrandmother buried somewhere up in Vermont, I think near Woodstock. Another summer trip to plan. When I got to visit my Revolutionary War grandfather’s farm and his graveyard in New York in 2002, I was shocked to find his and his wife’s stones worn down to about 3 inches from the 3 ft stones they were in the 1950 photo that I had of them. I left the originals but added a new double stone in front of them that I hope will last another 200 years as the first stones did. Excellent idea to add the new stone in front. Someone has to invent a “stone” material that won’t melt in acid rain. Thanks so much for this story. In addition to its intrinsic wonderfulness, it spawned thoughts related to grave markers in my own family. I was able to visit Martha’s Vineyard and Nantucket three years ago and took many pictures. I even happened to be able to “visit with” several of my long ago grandfathers (and grandmothers) on Father’s Day, which was a nice bonus. The great Athearn patriarch’s marker—believed to have been imported from England due to the type of stone—is in passable condition for a stone that is now 300 years old, but the face of his wife’s stone next to him is completely sheared off. About a month ago I found some online photographs taken circa 1910, and there was her completely undamaged stone, plus superior versions of a handful of other ancestors’ markers. What an unexpected blessing! One of my 4x great-grandfathers, Capt. Levi Starbuck, is buried in the Quaker cemetery on Nantucket, where markers were very unusual until a “heretical” sect started using them i one section in the mid-19th century. Levi’s actually has a marker…one of just a handful in his section…so my husband joked that he is “a man who stands alone in his field”! Over the years, the very plain marker has tipped forward, so I had to lie on the ground to photograph it. At the time, I was mostly intent on capturing the image, but retrospectively I have been touched by the thought that I was lying right on top of his mortal remains, and these thoughts have only been amplified by the fact that I have received DNA matches to several descendants of his relatives. Kind of a “bone of my bone and flesh of my flesh” connection. My Athearn great-great-grandparents are buried in Anaheim…or at least they both were at one time. My great-great-grandmother is still there, but a vague comment in the cemetery’s records indicate that he was “sent to Los Angeles”; no clue when, where (exactly), or why. Even their son wrote that they were buried side by side; what he didn’t know was that his mother was a widow, and her first husband is buried on the other side, with only one body between them! I’m looking forward to decorating the oldest family graves in our area this Monday, which I’ve done all my life. 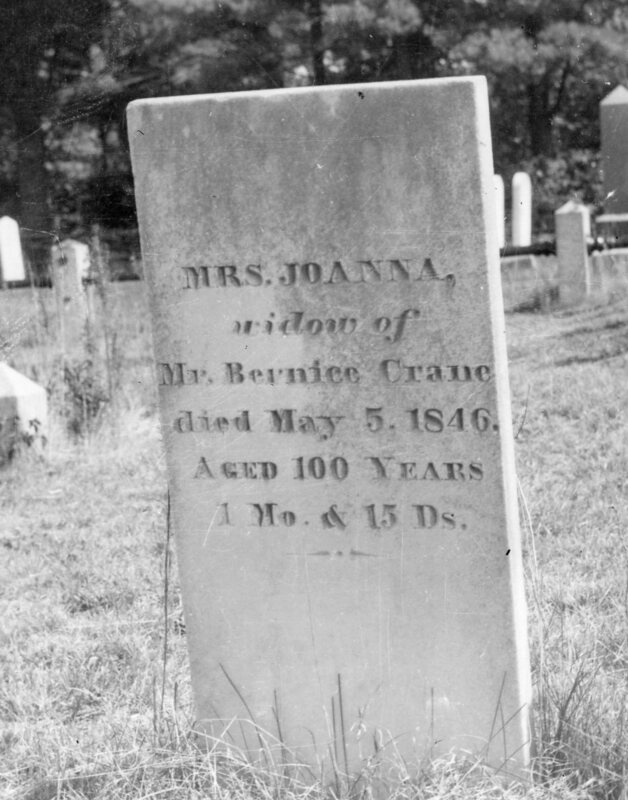 Something I just discovered a couple of months ago is that the death date for my great-great-grandmother who crossed on the Oregon Trail is off by an entire decade on her headstone! No idea how that happened, unless someone was sloppy in writing ’09 and it looked like ’99. And another ancestress’s traditional birthdate, calculated from her headstone age in years, months, and days, bears little resemblance to the town and church records for her birth and baptism. So many potential pitfalls in using stone records that were ordered by survivors who sometimes didn’t get on the ball until years later, and often were mistaken in their knowledge or calculations! Pamela, I enjoyed your grave stories. Regarding birthdates on stones not aligning with official records, it is not always the survivors fault….in looking at one ancestors timeline and records created by herself, e.g. census, marriages, etc. I found she lost a couple of years every decade, so probably her children had no idea when she was actually born. Ever since I was a little girl, my cousins and I would be required to go with our mutual grandparents to put flowers on (it seemed to us) every grave in the area. Now, after 51 years of researching family history, I’ve found that we actually are related to almost everyone in the area! Not too long before our grandparents passed away, I showed my grandmother her mother’s death information and she was thrilled. Then I asked her why her gravestone had the death year different. It seems there was an argument between my grandmother and her two brothers (one older and one younger) about that. Their mother’s stone was not placed at the time of her death because the children were around ten years old; their father was already married to someone else, and his first three children were “farmed out.” As adults, they got together to put a stone at the grave site of their mother. I don’t know why none of them checked the death record during the debate on what year she died, however, our grandmother won, and the wrong date was carved into the marker! She told me she was too old to change things now, and for heaven’s sake, what difference would only one year make! Besides the difference in her birth year, the additional line about her orphaned Sophia is a puzzle. Who was Sophia? So far, I have only theories and a small handful of possibilities. But, I am grateful that someone placed the stone for her.